Just love word search puzzles and the fact that it's large print particularly with my eyesight not as sharp as it used to be just makes it even better. because it is large print and will be easy to see without having to wear my reading glasses. To give to a friend for Christmas. She loves doing the word search puzzles. My step mother likes the word search large print puzzle books. I have old eyes and like the large print. My mother and grandmother can't see to save their lives so they like Large Print Find A Words. Because I am a AARP member. 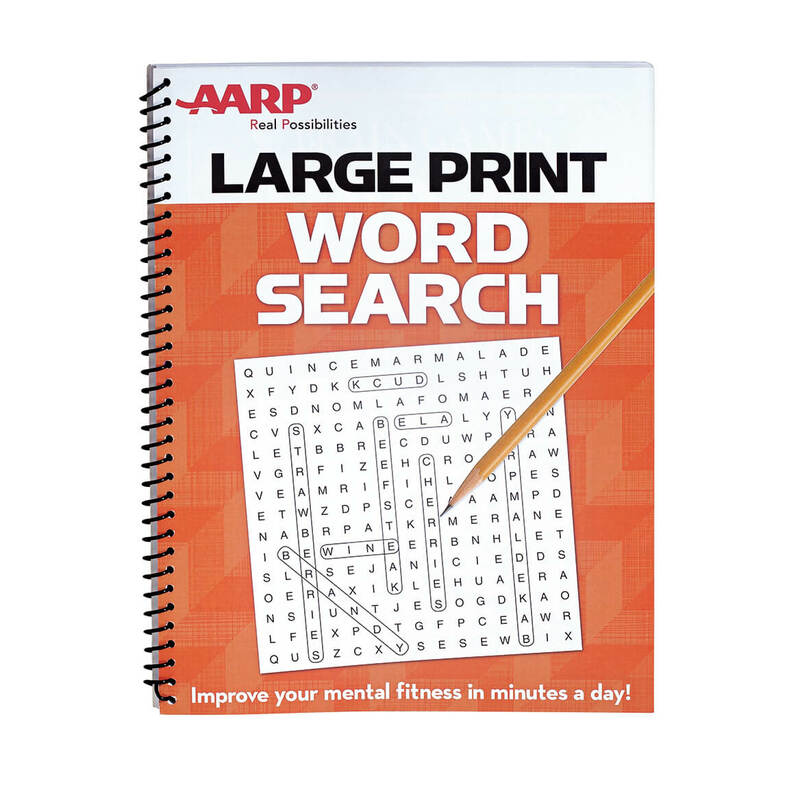 I am a AARP member and I love word search puzzles. My grandson is in jail and this will help pass his time. Like doing these kinds of puzzles. I like puzzle books of all kinds. Retired and this helps pass the time on rainy and snowy days. My elderly father loves doing word searches and this book looks like it will be very good for him with the large printt and being spiral bound. It's for my friend that is going blind and in her 90's. She loves to do word search. My Mother is sight impaired, she will be able to see this book. I like the large print so I don't have to wear my glasses. Because I love to word search. My mom has cancer and she likes word find. Also she cant see too good. And I love World Puzzle Searches. My Mom is 95 and loves these word search puzzles. This is a new one for her and it was priced great! I need to challenge my brain. Like to do these in the evening and need large print due to vision.